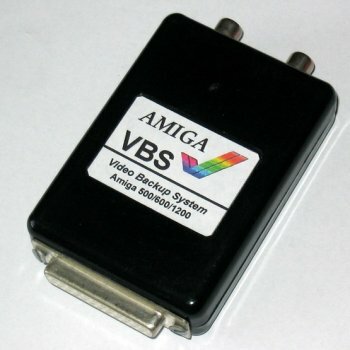 The Amiga VBS is a simple video streamer tool for making backups of your software and hard disk. 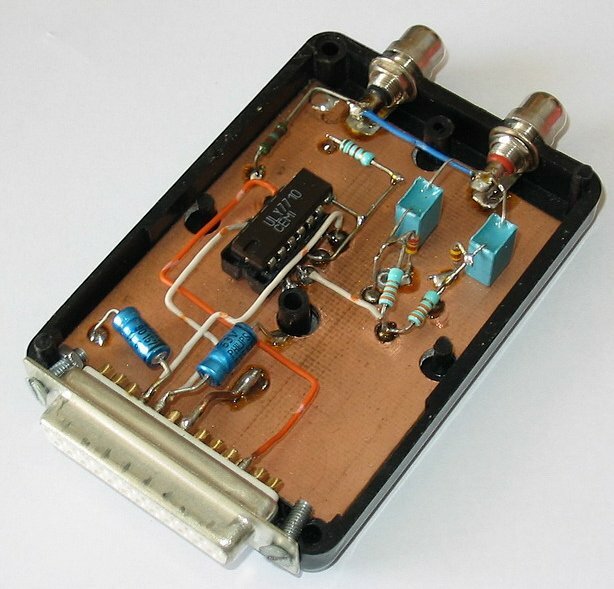 In plugs into the serial port and has two cinch connectors for attaching to a VCR. The data is backed up onto a conventional VHS tape.